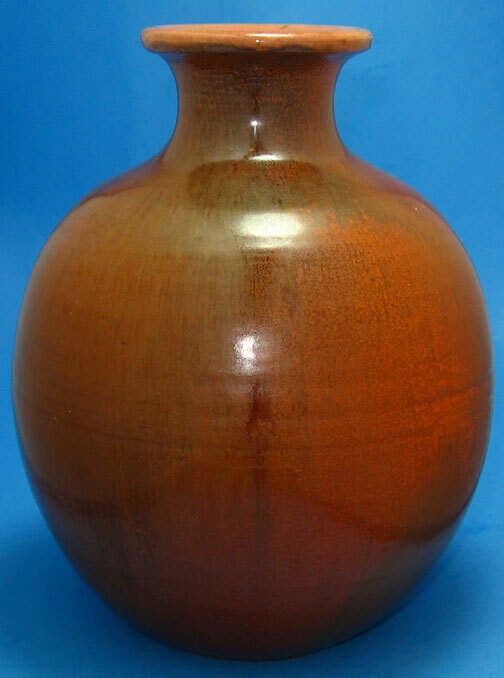 This vase is handmade and European, possibly German. 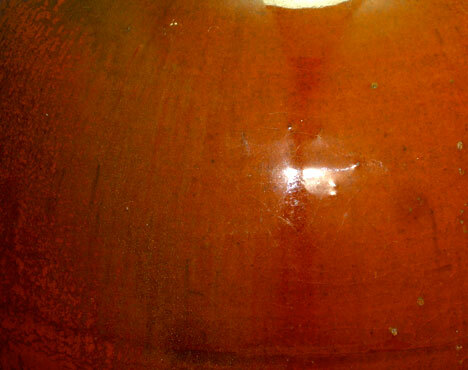 The clay is dark brown/red, and the glaze is an intriguing orange, nicely varied and with a glittery quality that doesn't come through well in the photos. Coloring is more consistent top to bottom than in the photos, which created a dark curved area....illusion. 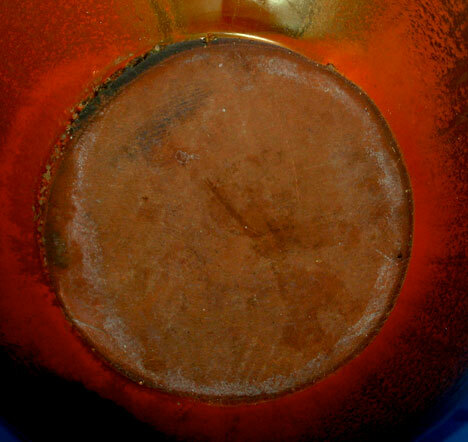 Orange and red uranium-based glazes were popular in German pottery, especially before WW-II, and based on appearance, I suspect this is an example of that type. Size: Height is about 6 3/4".